The Spectral TF Imaging Systems are powerful multispectral image acquisition and analysis tools for spectroscopic characterization of materials. Based on liquid crystal tunable filter technology, they permit easy spectral imaging of subjects at the wavelengths you choose. Work with specific wavelengths or scan an entire range in seconds. We currently have available a TF VIS system with a spectral range of 420-730 nm. A TF NIR spectral camera design is available upon request. 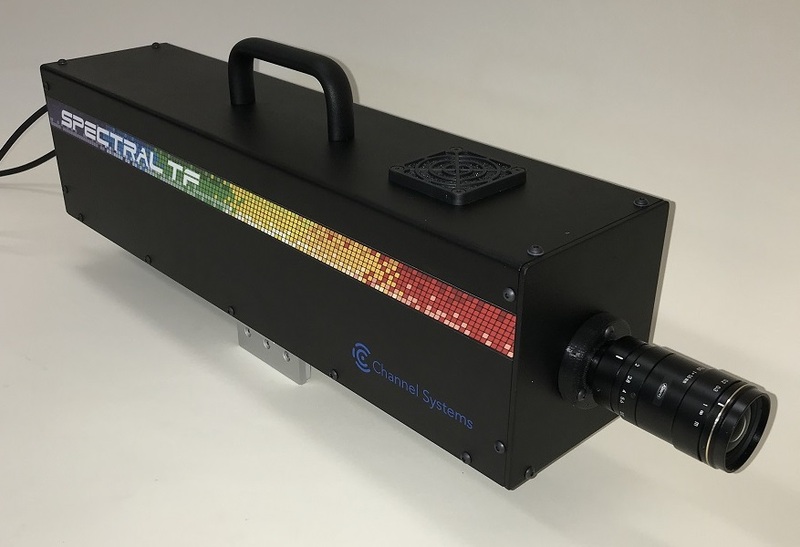 CSI Spectral TF systems can be produced with a number of camera and lens options for customization to many spectral imaging applications. The Spectral-TF systems provide simple, fast imaging. Combined with powerful acquisition and analysis software, these systems deliver superior spectral imaging. Form factors are available for industrial, laboratory or portable applications.